I saved a 1995 VS800 from going to the crusher. BIke was still tagged when I got my hands on it but had been sitting for a year and a half. 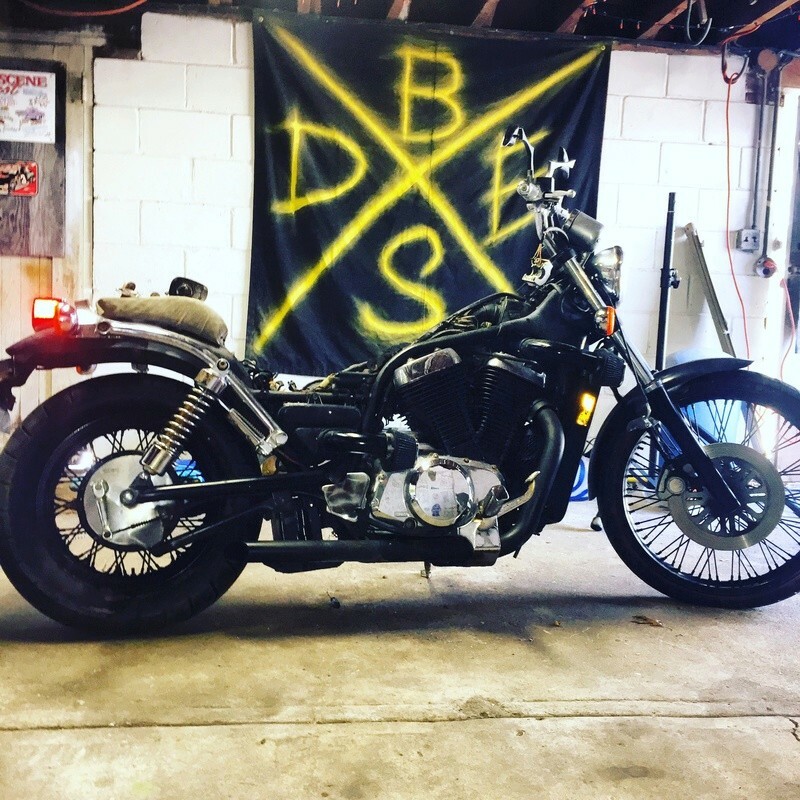 This is my first motorcycle of my own but not my first project. I am a body tech / painter by trade but I am not the most well versed mechanic. I am excited to be part of the community and hope that there are a few is you on the east coast of the United States I may be able to meet up with. to the site Mickey! Not quite on the East coast; more the North coast we call it here in Ohio, but in the U.S. nonetheless. Haven't had to look for many parts for my VS, (mostly aftermarket or regular maintenance stuff that I've needed), so not much help with the tank search. Tried eBay?